Kinroad SSR Hensim JCL BMS NST Peace Lance Jetmoto Supermach, etc. 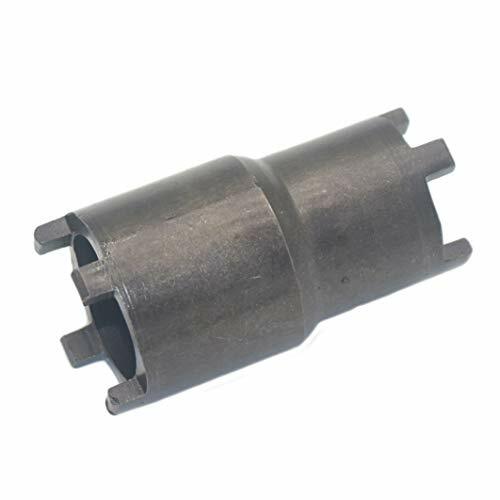 Clutch Hub Spanner Tool, Oil Filter Lock Nut Spanner Socket fits for 50cc-125cc horizontal engine. Fits for 50cc,70cc,90cc,90cc,110cc,125cc ATV,Dirt Bike,Go Kart. This tool also fits most Chinese brands, Such as Buyang, Coolsport, NST, BMX, Kazuma, Roketa, Baja, Jonway, Coolster, TaoTao, Kinroad, SSR, Supermach, etc. View More In Spindle Lock Nut Kits. If you have any questions about this product by JINGKE, contact us by completing and submitting the form below. If you are looking for a specif part number, please include it with your message.